I grew up with exercise induced asthma as a kid, so I never could do sports. I could ride a bike around the neighborhood, but that was about it. Fast forward to 2007, my co-workers asked me to be part of a triathlon relay team. After they explained what triathlon was, I agreed to do the bike portion. After that race, I was determined to do it all! So, I taught myself to swim and run with the asthma inhaler as my side kick. Eventually, my lungs realized I wasn't going to stop this new found lifestyle and began to adjust. I found that my body did better with endurance sports vs. sprints. This lead me to olympic triathlons, several IRONMAN 70.3s and 6 IRONMAN races with trail running excursions for fun as well. 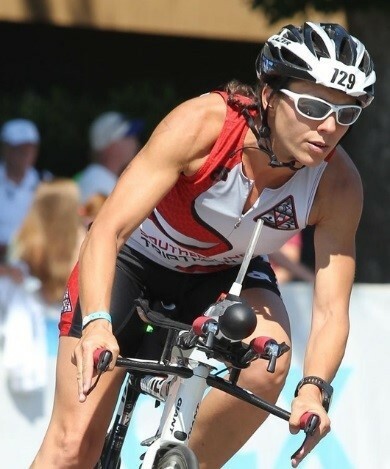 My journey continues as an age-grouper competitor, USAT Level 1 Triathlon Coach & IRONMAN Certified Coach to help others achieve goals that seemed out of reach.